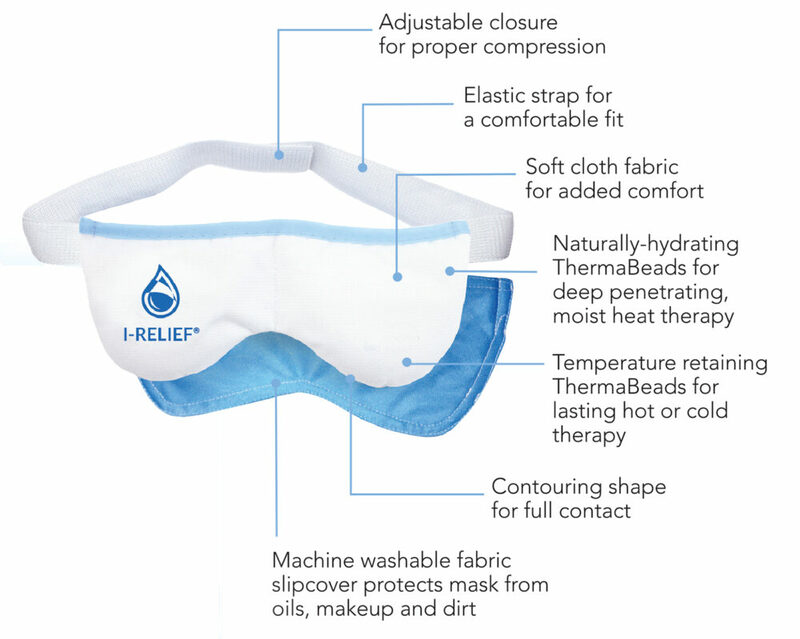 Hot and Cold Therapy Eye Mask with ThermaBeads™ for the relief of symptoms associated with Blepharitis, Dry Eye Disease, Meibomian Gland Disease (MGD), Styes and Chalazia, as well as Headaches, Sinus Pressure, Tension, Swelling and Puffiness. Reusable, washable and durable to last longer. Copyright © 2008-2018 Quidel Corporation.